Home MMA News Fightweets: Should B.J. Penn go back into retirement? Fightweets: Should B.J. Penn go back into retirement? As you may have heard by now, Michael Bisping will face Dan Henderson on Saturday night in the main event of UFC 204 in England, and hey, your just may know a thing or two about their history, too. Meanwhile, it will also mark the last UFC card for four weeks, which wasn’t the original plan, but then news broke that the B.J Penn-Ricardo Lamas fight, and with it the entire card planned for Oct. 15 in Manila, was scrapped. So, sure, we’ll get into Bisping-Hendo stuff in this week’s Fightweets. But since you’ve pretty much had every conceivable angle covered already on this one, and because you’re going to be flooded with UFC 205 chatter starting next week, let’s start off with a little closer look at the Penn fallout. Do you want to see B.J. Penn fight again? @hunt5588: RE: BJ Penn. Has there ever been a fight where most people were relived when it fell apart? @RuckerYeah: BJ’s out again. Maybe he should stay retired? As you can see here, there was a recurring theme in the feedback after the announcement B.J. Penn’s Oct. 15 fight with Ricardo Lamas was off: No one outside the card’s participants and their teams, friends, and families were sad the card was gone. 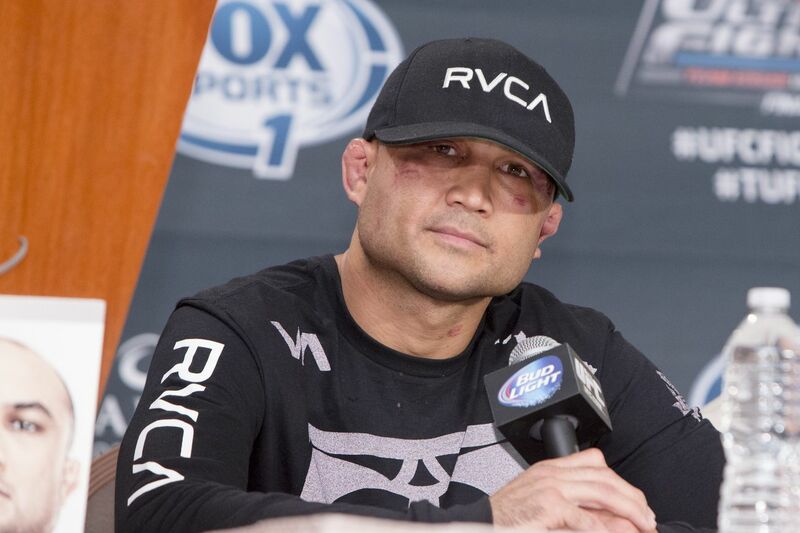 I can see why one would take a look at what’s gone down during Penn’s attempt at a mixed martial arts return, then conclude that maybe karma is trying to drop a giant hint at the former UFC welterweight and lightweight champion and current UFC Hall of Famer.